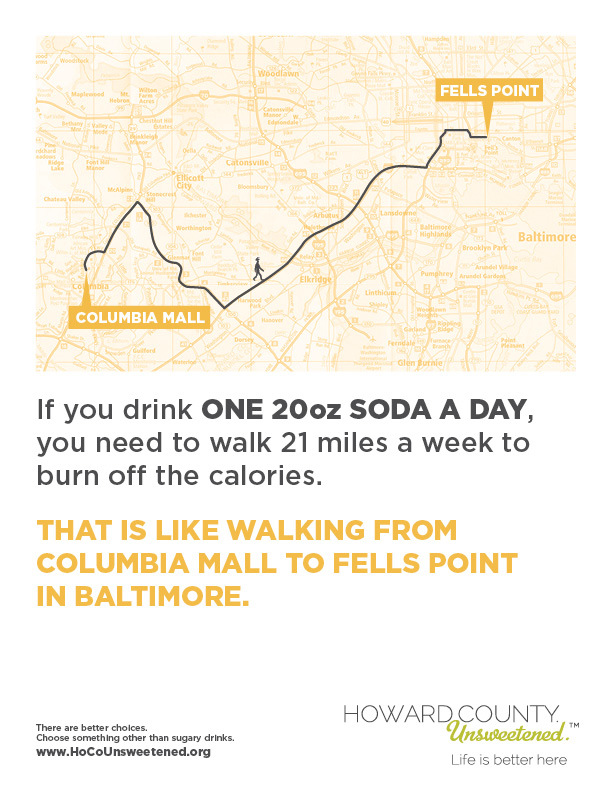 Hang a HoCo Unsweetened poster to remind parents of the importance of limiting sugary drinks. You can download and print in 3 different sizes or share an image online. 100% fruit juice can be a part of a healthy diet but portion size is important. Hand out this guide to your members, staff, colleagues, clients, and partners on how (drink) size matters. Use our assorted table tents at your next meeting's beverage table to remind your employees that healthy beverage choices matter! Need a recipe for deliciously flavored water to share with your members, staff, colleagues, clients, and visitors? We have just what you need. For an upcoming event or social, try mixing up 3 different batches of spa water. Have small taste test cups available and have members vote on their favorite. Then serve the favorite at subsequent meetings. This 3.75” x 8.25” Rack Card provides simple tips to help parents find the best beverages that keep their kids and their doctor happy. Designed with space on the backside for your office's/organization's address label. 3.75” foldable square to keep in your pocket or purse. Put your little one in charge on your next grocery trip and ask him/her to help you follow the checklist. D1 – Sticky Notepad. Finding the right kid friendly beverage. Choose from 5 designs. Print as a 4"x4" notepad or download and paste the images into your online newsletter or blog, or share on social media. D2 – Sticky Notepad. Is your beverage kid friendly? D3 – Sticky Notepad. Find a drink your family will love. D4 – Sticky Notepad. A good excuse to sip and savor. D5 – Sticky Notepad. Treat your kids to a better beverage.